Radim Dragomaca is the Director of the VetFran Program at the International Franchise Association's Foundation in Washington, D.C. Radim works to educate veterans about the opportunities of franchising and the franchise business model, build a robust community of companies that support veterans and grow a nationwide network of partner organizations. 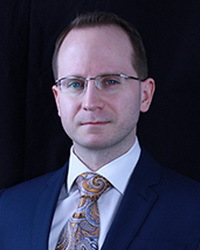 Radim holds advanced degrees in international relations, international law and came to IFA from a professional background in communications, non-profit management and research. The franchise business model has been a pathway to entrepreneurial prosperity for generations of Americans. Learn from a distinguished panel of franchise professionals what the pathway to franchising looks like, and how you can succeed as a franchisee. This panel also features information on industry programs, new opportunities for military veterans and best practices for veterans and diverse communities.